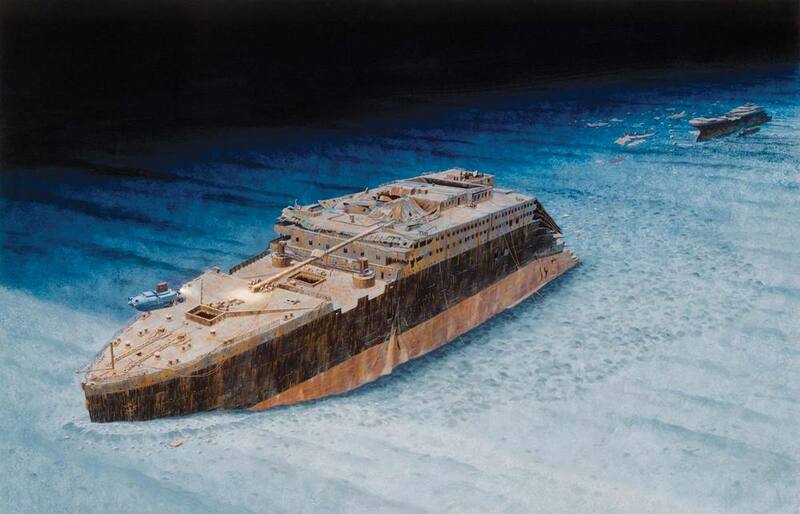 Facts and information about the wreckage of Titanic. 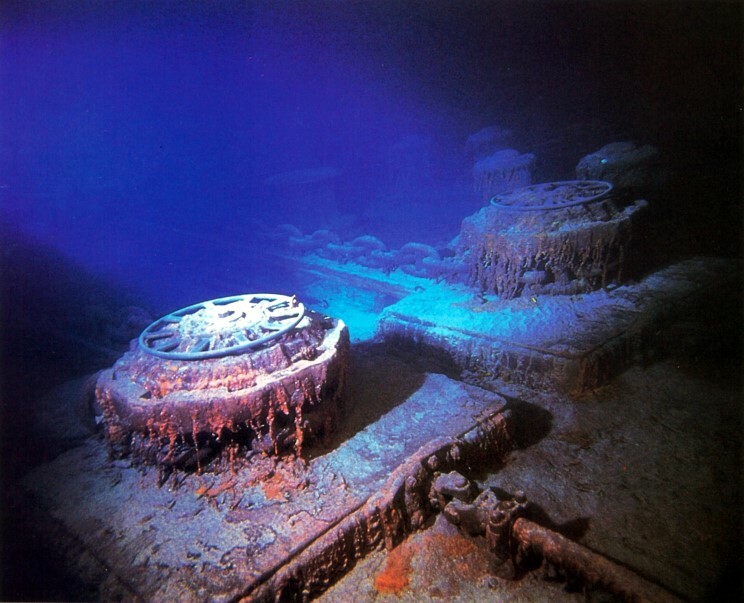 Location, Discovery by Dr. Robert Ballard, Relics, artefacts and Titanic Tours. Great information for teachers, students and historians. Dr. Robert Ballard is probably greatest marine archaeologists of all time. Within moments Ballard and his crew realized they were the first people to lay eyes on the Titanic in over 73 years. As they confirmed portholes, cabins and items that correlated perfectly with blueprints of Titanic. 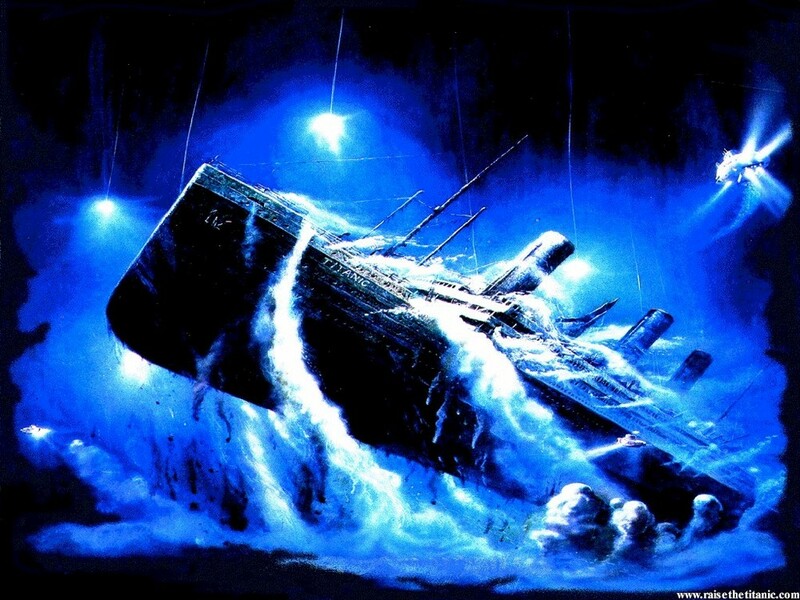 This successful voyage was the bottom of the ocean floor was the culmination of many failures, hunches and research Ballard and many others had dreamt of from the moment the Titanic slipped towards it's icy grave on April 14th 1912. The wreck of the RMS Titanic lies at a depth of about 12,500 feet (3.8 km; 2.37 mi), about 370 miles (600 km) south-southeast off the coast of Newfoundland. 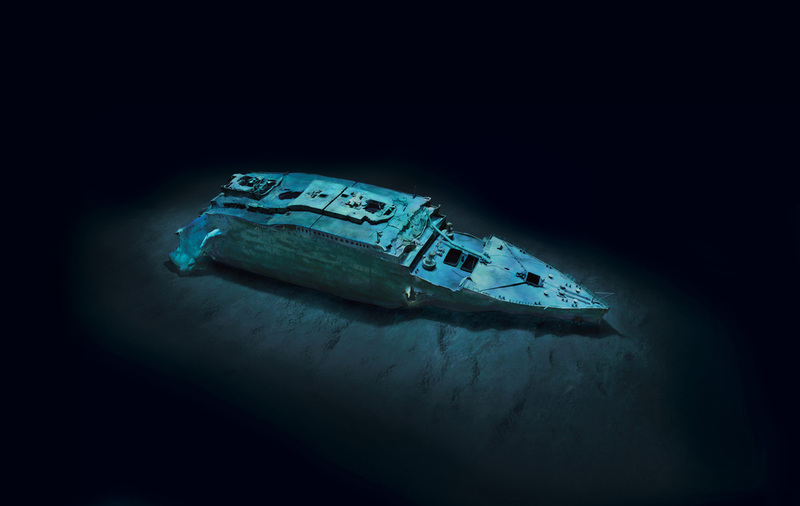 Who found the TItanic wreckage? 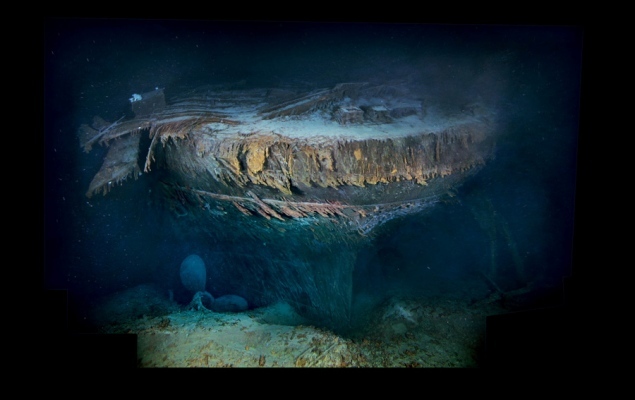 Ballard's first discovery was that the Titanic was not in one piece and was in a heavily rusted state. The Bow and stern were separated by approximately 640 metres (2000 feet.) which instantly ruined some misguided dreams of refloating her as a living museum. 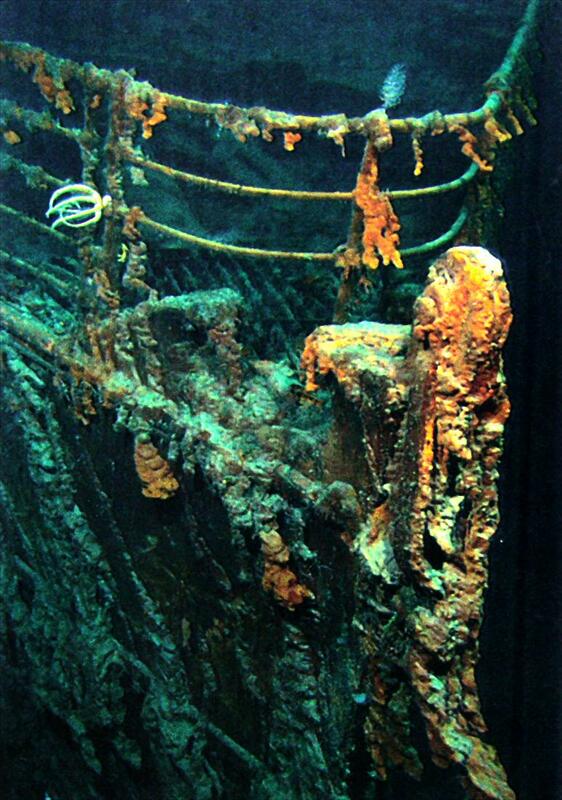 Scientists had theorized that due to the depths and temperature of ocean in the region that Titanic lay it may have avoided the ravages of corrosion, wood disintegration and possibly even may contain some well-preserved skeletons. This was not the case. The discovery of the wreckage silenced many of the conspiracy theories and myths surrounding the sinking of Titanic. The first being its location. The Titanic lay in three locations at a depth of 3840 metres (12,600 feet) at the following coordinates. The Titanic was found at an incredible depth and this diagram goes some way to explaining why it took 73 years for technology to provide us with the tools to locate it. 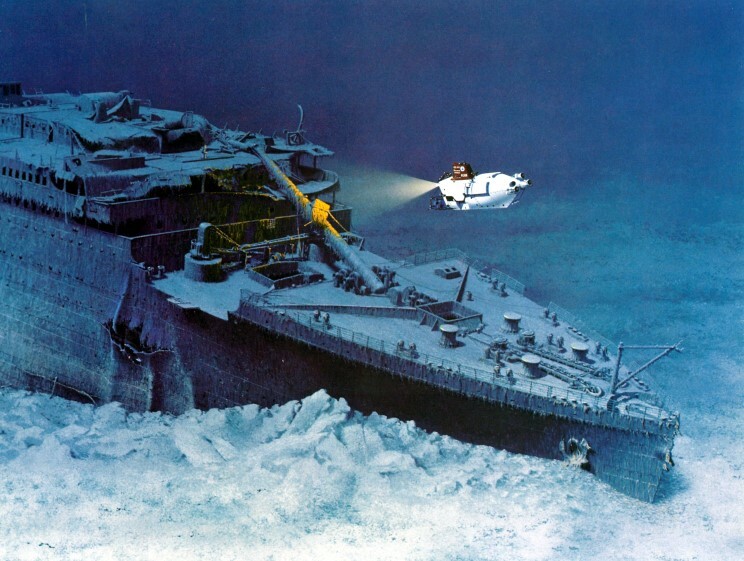 The reason Titanic was so hard to find was in part due to the fact it lay in some of the deepest waters on the planet. Some items have been salvaged from the wreck of the Titanic which has caused an element of debate about whether the Titanic should remain untouched as a memorial to those died on board or if these items teach us a great deal more about Titanic on display in Museums and exhibitions around the world. 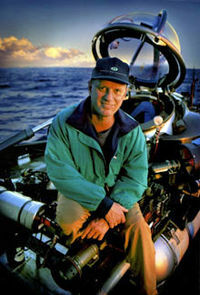 Robert Ballard Speaks at a TED Conference about the importance of underwater exploration.